Kalin Balcomb is in her sixth year working at Arts in Action Community Charter Schools. Prior to the role of Director of Schools, Kalin has worked as the middle school principal for Arts in Action Middle School and the Director of Special Education for Arts in Action Community Charter Schools. Before working at Arts in Action, Kalin worked on the Big Island of Hawaii as a Special Education teacher and Student Services Coordinator. Kalin completed her undergraduate degree at Syracuse University, with a Bachelor’s in Political Science and minors in Global Political Economy and Geography. Kalin completed her Master’s Degree in Special Education through Chaminade University in Honolulu. Currently, Kalin is working towards her Doctorate in Educational Leadership with a focus on Social Justice through Loyola Marymount University. Kalin serves on the Boyle Heights Neighborhood Council. 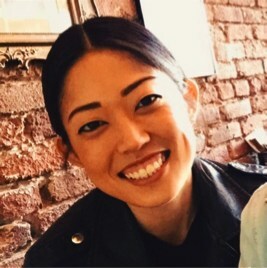 Kalin is a Teach for America alumni and a member of Leadership for Educational Equity (LEE). Edwin Hernandez is the Assistant Principal for the 3rd-5th grade at Arts in Action. He is a school leader with a passion to guide underserved students to gain the knowledge and skills necessary to become life-long learners and productive citizens of their community. Edwin has taught in elementary school, middle school, and the high school setting; this will be Edwin’s second year as an Administrator. He has also worked in collaboration with stakeholders to improve school culture, increase student performance, and build teacher capacity. 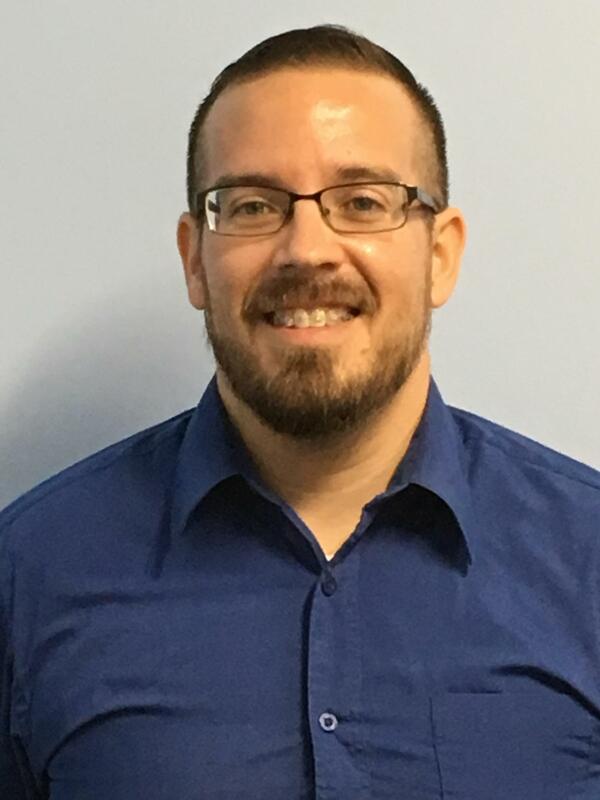 Edwin began his career in education as a recent Cal State State University Long Beach graduate with a Bachelor of Arts in Liberal Studies, single subject credential in math from UCLA, and Masters in Educational Administration from Cal State University Dominguez Hills. His desire is to be part of the social justice movement which empowers students through quality education. Prior to administration, Edwin taught High School Automotive, 4th grade, 8th grade math, and ELD. My name is Jamie Kikuchi and I am the Assistant Principal for TK to 2nd grade. I was a founding teacher at Arts in Action in the first 2011-2012 school year and had the privilege of teaching both kindergarten and first grade for six years at Arts in Action. I received my Master’s degree in Education and my Elementary Teaching Credential at the University of California, Los Angeles in the Teacher Education Program. Prior to this, I attended the University of California, Berkeley where I received my Bachelor’s degree in Sociology. I am looking forward to the opportunity to work with teachers, students and families this upcoming school year. I am inspired every day as we witness our young scholars develop into active and responsible members of our community who challenge themselves to achieve their highest potential. Erin Kleiner studied at the University of California, Santa Barbara, where she double-majored in English Literature and Linguistics, with an emphasis in Spanish. Ms. Kleiner applied and was selected to the Teach for America program as a part of the 2010 New Mexico corps. She served native students in grades K-8 for two years through teaching, tutoring and coaching sports. Ms. Kleiner graduated with Distinction from the University of New Mexico in 2012 with a Master’s Degree in Elementary Education. She worked for four years as a 6th grade ELA and science teacher with Stella Middle Charter Academy (Bright Star Schools) in South Los Angeles. Ms. Kleiner graduated with a Master’s degree in Educational Administration from the 2016 Principal Leadership Institute (PLI) cohort at UCLA. 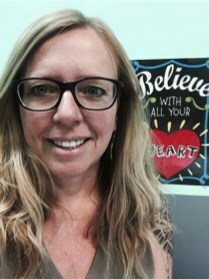 My name is Karin Kroener-Valdivia and I am the Arts in Action Middle School Assistant Principal. Before joining the AIA family, I worked for 18 years with LAUSD as an English teacher and Bilingual Coordinator. I also spent one year at the district level, working in the Linked Learning Department. I have taught students from 4th until 12th grade, with the last 5 years being at the high school level. I look forward to returning to the middle school age group. Because of my English teaching background, I feel strongly about getting students to love reading and expressing themselves through writing. I have worked closely with the UCLA Writing Project and the National Writing Project on what literacy skills students need in order to be successful at the college level. I hope to bring everything I've learned from those experience to AIA middle school, because it's never to early to start preparing for college! I am so excited for the school year to start. I wanted to work for AIA because I know what a positive impact both art and social justice education can have on students. Looking forward to a very exciting school year!